During July 28 and 29, our GROWTH collaboration hosted the first of its education workshop. This meeting featured attendance by over 30 professors, postdoctoral researchers and graduate students, representing 18 different institutions and five countries. During the meeting we presented innovative courses in astronomy at our campuses, which includes the US institutions of Pomona College, Williams College, Caltech, U. Maryland, U. Wisconsin Milwaukee, San Diego State University, Cal State San Bernardino, and from our international partners, Stockholm University (Sweden), Tokyo Institute of Technology (Japan), IUCAA (India), Yale-NUS College (Singapore), and the University of Western Ontario (Canada). Our Education Workshop also developed two of our main curriculum tracks. 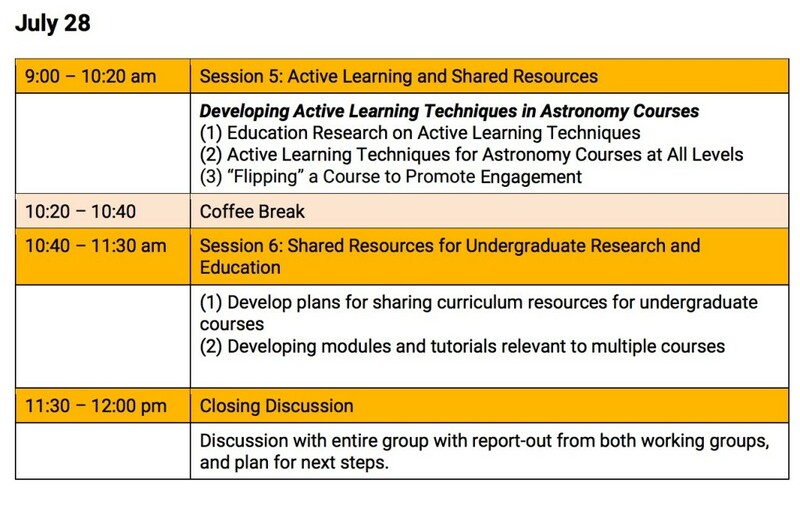 This includes a global observational astronomy course which I am leading and working to link together our students and institutions in a global educational collaborative community. 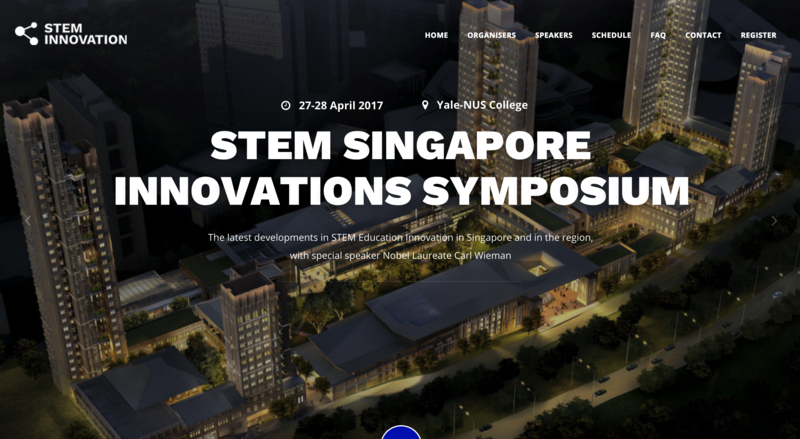 In this new course, teams of students will be linked together to collaborate on their observations of supernovae, asteroids, and other time-variable objects, and the instructors can co-develop educational resources such as tutorials on observational astronomy, guides to accessing datasets and performing advanced “big data” analyses, and guest lectures on advanced topics in astrophysics. 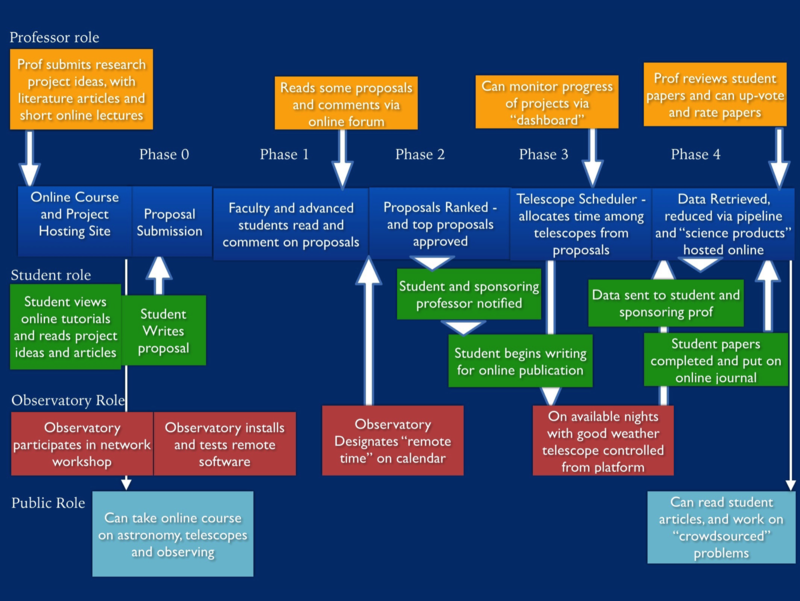 I am also eager to develop remotely operated telescopes, such as the new LCRO, as a jointly operated facility that undergraduates around the world can use in their research, even performing many of the same activities as in research telescopes. The hope is that this facility will feature a proposal mechanism, fielded by advanced students, a set of tutorials on usage and data analysis, and even an on-line journal for students to publish some of their findings and ideas. The non-majors course curriculum will also be expanded, and this effort will be centered at the University of Maryland where Stuart Vogel and Melissa Hayes Gehrke are leading classes observing asteroids, and developing curriculum that makes use of the ZTF variable star database, and other exciting new discoveries. This non-majors class has a great potential to widen participation in science among diverse groups of students, including many under-represented minority students and first-generation students. The University of Maryland joins three of the Cal State campuses (SDSU, Cal State San Bernardino, and Cal Poly San Luis Obispo) and U. Wisconsin Milwaukee, as well as our larger group of scientific collaborators. Our education team includes members at several large universities that have substantial populations of students that could be recruited to be part of the next generation of astrophysicists. 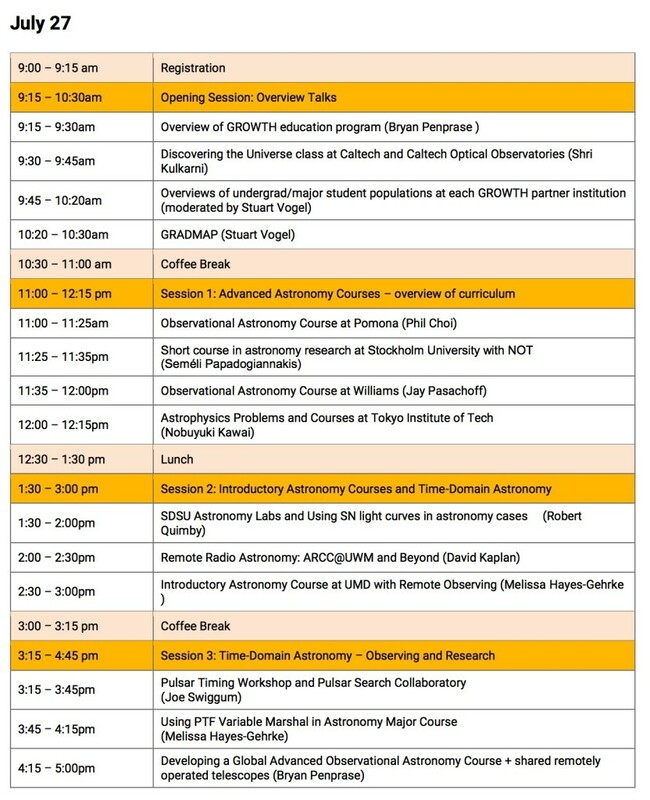 The meeting included a full day of talks sharing curriculum, and innovative observing exercises among our team. 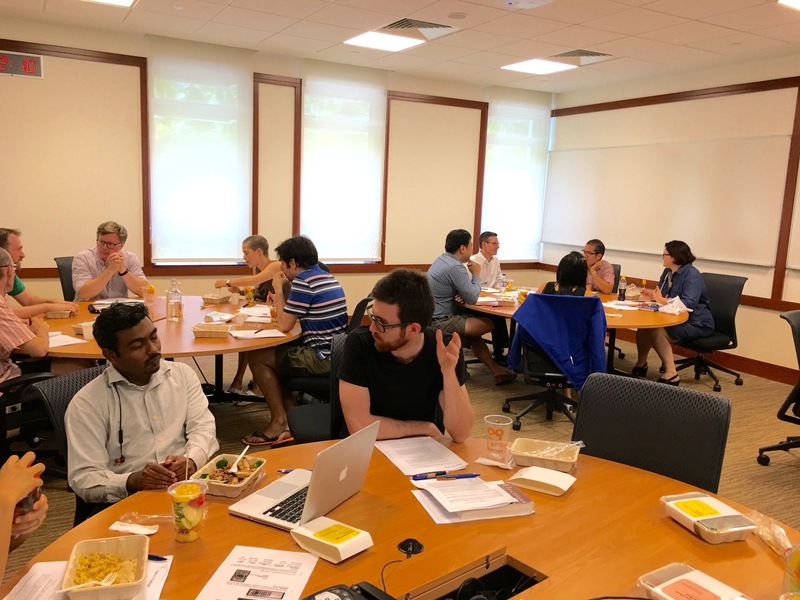 We also enjoyed a great workshop on active learning techniques by Melissa Hayes Gehrke on the second day, and a very productive discussion about next steps linking our campuses together in the coming academic year. 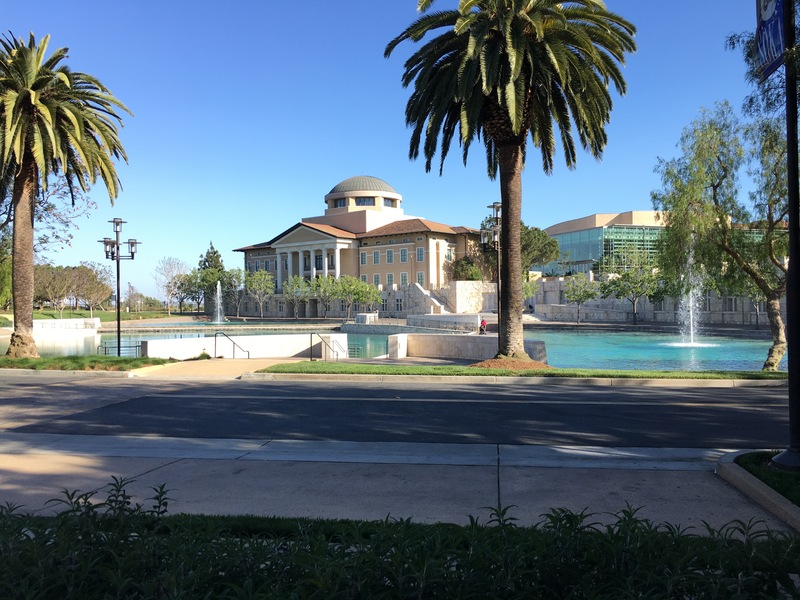 Talks at our Caltech GROWTH Education Workshop – July 28-29, 2016. 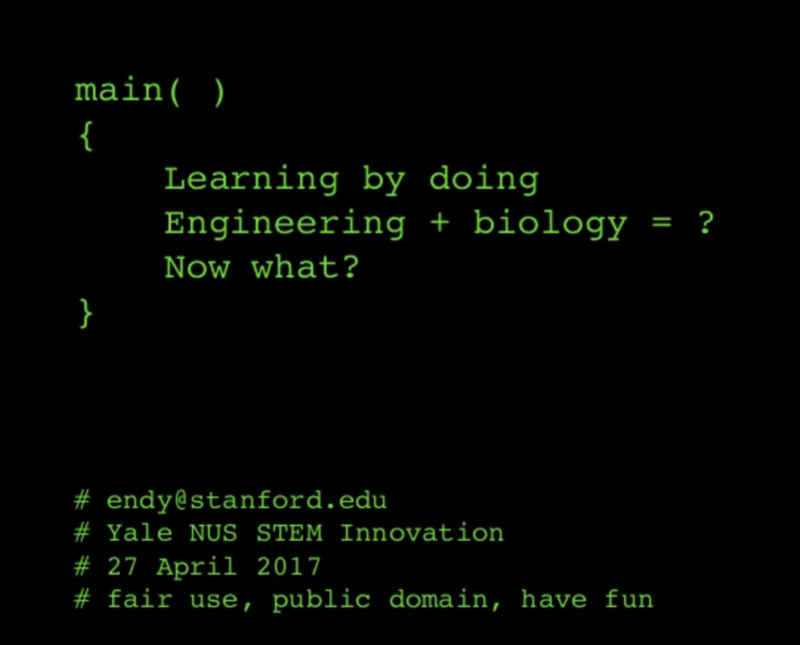 This program is also online at http://growth.caltech.edu/conferences/workshop-program2016.pdf. Below are some of the attendees of our GROWTH science meeting and workshop who will be collaborating with us in our educational initiatives. This group includes over 30 GROWTH scientists, representing 18 different institutions and coming from five countries.